Ahhh, that sweet feel of dirty, sweaty hands sliding into and out of a pair of muggy gloves. Yeah, that is something that no motorcyclist ever says. The reason they don’t say that is because it stinks to have that happen. 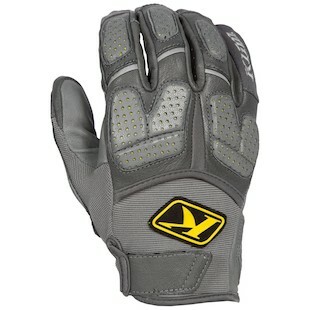 For off-road riders who want to mitigate such unpleasant circumstances, the new Klim Dakar gloves are here to help. The Klim Dakar Gloves are a great choice for any rider looking for some lightweight hand protection for their off-road explorations. These gloves are super streamlined and allow you to ride on unencumbered with excessive, bulky materials while you are tearing up the trails. With TPU knuckle protection that is sleek enough to go almost unnoticed and touch screen compatible finger/thumb capabilities, the Dakar gloves are a great bang-for-your-buck option. 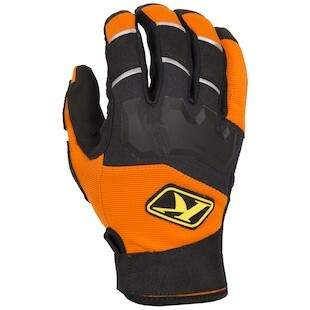 For the rider in search of something a little more robust, the Klim Dakar Pro Gloves offer just that. With an infusion of leather construction into the outer shell, these gloves are a little heavier than the regular Dakar gloves. However, that added weight affords a slightly heartier set of capabilities when compared to its little brother. From the feel that comes with leather panels, to the Poron XRD padding throughout the knuckles, fingers, and wrist, the Dakar Pro gloves from Klim are the choice of off-roaders who really push it to the edge. Getting a good grip on your bike is one of the most essential pieces of the riding equation. For off-road explorers, the Dakar series is a good bet as you dive into the endless possibilities and un-explored portions of the globe.